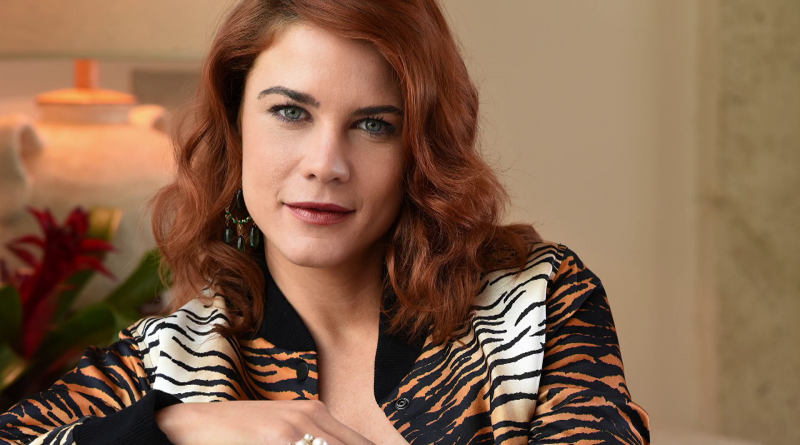 The Bold and the Beautiful spoilers reveal Courtney Hope is returning as the red-headed, spitfire Sally Spectra! Courtney shocked viewers last month when she revealed that she was leaving the CBS daytime drama. She thanked everyone for their loving support and confirmed she was moving on. As for her character, Sally left Los Angeles with Thomas Forrester (Pierson Fode) for New York, to live close to his son Douglas. What happened there and what brings her back to LA? B&B‘s Courtney Hope Confirms Her Return! Bold and the Beautiful spoilers showed that Sally was a legacy recast. Do you remember when Courtney Hope first arrived in Los Angeles? She definitely had huge shoes to fill thanks to her namesake and great Aunt Sally Spectra (the late Darlene Conley). Courtney Hope was quickly embraced by B&B fans who adored her rambunctious attitude and quirks that paid tribute to her aunt who passed before her. Right away, she was involved with wild antics like the cake fight with Steffy Forrester (Jacqueline MacInnes Wood) at Il Giardino. Is Thorne so desperate for love that he blabs Katie and Wyatt’s continued affair to Bill? B&B’s fashion world has been much more exciting since Sally came to town. Could she be returning in hopes of rebuilding Spectra Fashions and once again taking on Forrester Creations? Although she reunited with Thomas, her coming back to LA might mean things didn’t go so well. Is there a possibility that she could reconnect with Liam Spencer (Scott Clifton) causing even more drama between him and his already estranged wife, Steffy? How would Hope Logan (Annika Noelle) feel about competing with yet another woman for Liam’s affections? What Will Sally Do Back in LA? CBS Soaps in Depth also confirmed the return of Courtney Hope so this is very exciting news. There are endless possibilities when it comes to Sally’s return. There’s no word yet on how Sally will stick around but the world is wide open? Will Sally get romantically involved with someone if she’s split with Thomas? The Bold and the Beautiful sources tease that so much is happening behind the scenes, one has to wonder how this will all play out. With Jacob Young, who portrays Rick Forrester, shockingly dropped to recurring status. Also, Karla Mosley who portrays his on-screen transgender wife Maya Avant, is pregnant and it would be a challenge to write her pregnancy into the story. Could Mosley follow Jacob Young out and also drop to recurring based on her pregnancy and Rick’s exit? Are you excited about Courtney Hope’s return as Sally Spectra? Be sure to tune into CBS weekdays on B&B to catch up on all the exciting storylines happening right now. Also, check out the most twisted couples of all time on B&B. Check Soap Dirt often for updates and all the latest Bold and the Beautiful spoilers. ← ‘Young And The Restless’ Week Of April 23-27: A Sneak Peek At Next Week On ‘Y&R’ – Hilary Pregnant By Devon! ‘Bold and the Beautiful’ Spoilers: Hope Wrecks Marriage – Steffy Opens Arms to Liam?